Read Tree to Paper by Lisa Herrington. This is a perfect book for this age group. It contains photographs and simple but accurate text to explain the process of how a tree becomes paper. The book also mentions the process of recycling paper, which can become a class project. As crazy as it sounds we are going to act out the process of a tree becoming paper! It will be an active and fun way to remember this process. Clear a large space in the room. Wrap two willing students (the “trees") with yellow bulletin board paper from the shoulders down. Then wrap brown paper over the yellow paper. Is everyone giggling now? Enlist two more students to “chop" the trees down, laying the “trees" on the ground carefully. Now four students peel the “bark" (the brown paper) off the trees. Next four students per “tree" should tear the brown paper into small pieces or “woodchips." The students who were the trees can go to their seats. Three students place the wood chips in a pile and pretend to pour water on the pile. Flatten the pile out and you have the “pulp." One student uses the rolling pin to roll over the pulp. Place the white paper over the pulp. Now it is paper. 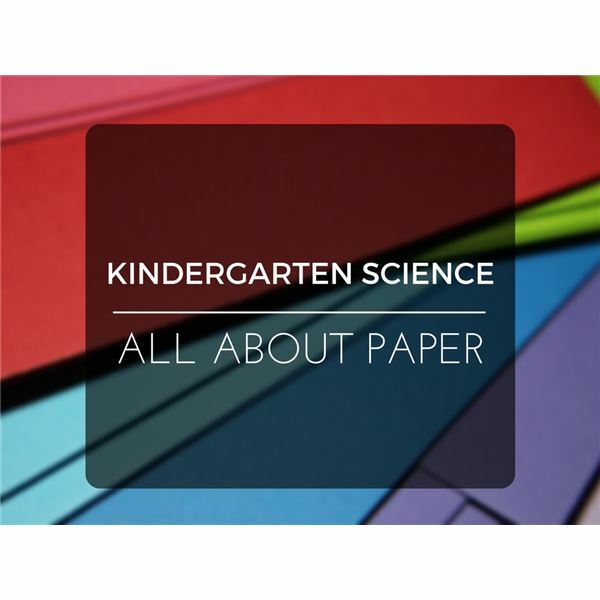 Remaining students can use safety scissors to cut the paper into different sizes. Review the activity just completed. How many items made with paper can we find in the classroom? Take time to explore the room. Then place a large box, laundry basket or trash can in a special place in the room to collect paper for recycling. Mark it PAPER ONLY. You may want to add a second container for partially used construction paper, which can be used for art projects. Herrington, Lisa M., Trees to Paper: Rookie Read-About Science, Children’s Press, 2013.